Just a quick test! With some minor tweaks to the face! Better than the original. Like, WAY better. 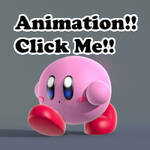 This needs to be featured in a 3D Kirby platformer! All I can say is ! 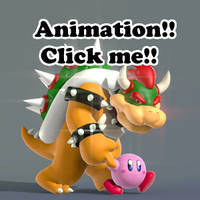 Killer walking animation of Kirby here. 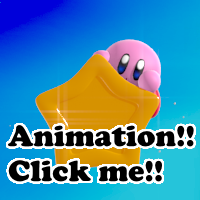 Gives you a bit of an idea how Kirby would walk in a different angle in a 3D platformer. Maybe since this one can actually walk! Though I do LOVE the art style that game has!! Looks like real Nintendo stuff! Really! Maybe just a little... Thanks sooo much, though! 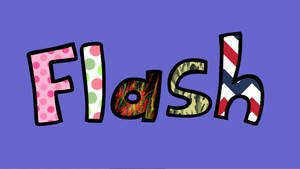 I really love this! It's so cute! Hahahaha, I see someone thinks this is cute. Thanks sooooo much, though! aww he's looking fluffy well done! 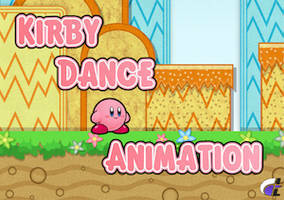 Are you the secret Developer of the New Clay Kirby game? Tryin' to catch me strollin' dirty. That would ruin the cool vibe he's going for! Now you just need to give him sunglasses. Easy! I can do that later tonight when I'm on break! Because he ate them all. 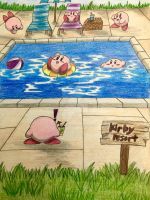 No one gets any poyos from Kirby! Oh my gosh! That's an awesome remix!! 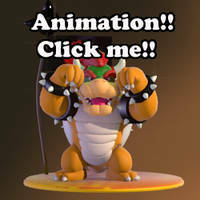 And the beat matches up really well with the GIF! Hahaha. ^-^ I love Kirby music! Yeah! It's some of the best kind!! This makes me think of it. Right! It looks sooo good! I absolutely love the clay look it has! !